The resilience of the site to carry on in unsettled weather proved once again it's salvation. At no time did the show come to a standstill. The Horses had a very early wooden plough working, musical drives by the ploughing teams and coaches, even a wedding party using the Norwich Coach. The Scammell train mastered nonchantly the steepest slope. The Doe tractors demonstrated their ability to handle a six furrow plough. A contingent of french vintage cars braved Dorset's non - concourse. The wood sawing and threshing sections were particularly interesting. Heavy Haulage produced some great smoke plumes and nifty footwork in the mud. The slow drive near midnight by four engines with their load through the packed crowds of the Fair must rank as one of the most remarkable sights ever. This year's special theme - A collection of Steam Wagons with examples from every British manufacterer. A very early wooden plough working. Musical drives by the ploughing teams and coaches in the horse section. The Scammell train mastered the steepest slope. Midnight by four engines with their load through the packed crowds of the Fair must rank as one of the most remarkable sights ever. 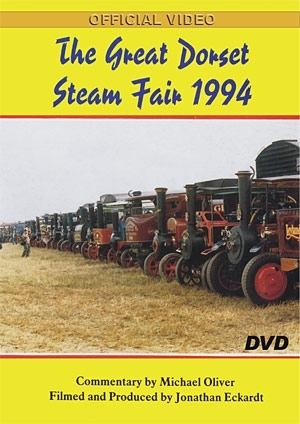 The special theme: Steam Wagons with examples from every British manufacturer.